Envirobins at Loughborough University Halls of Residence. 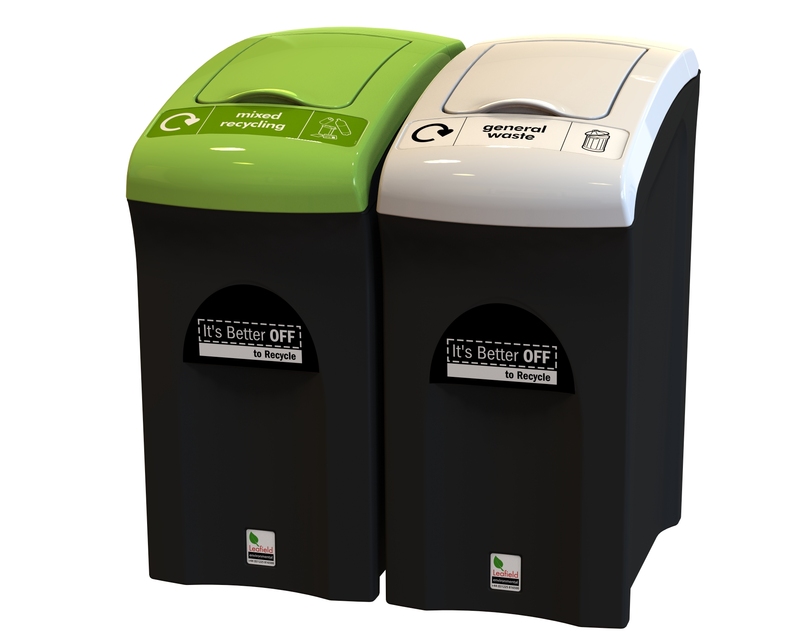 Mini Envirobin Improves Recycling Rates in Student Accommodation.In a quest to improve recycling rates in student accommodation blocks, Loughborough University has installed over 1000 Mini Envirobins from Leafield Environmental. Slimline, compact and moulded from tough polyethylene, the 55 litre capacity Mini Envirobin comes with a choice of WRAP colour coded lid options with accompanying graphics that actually encourage the students to recycle. The Mini Envirobin also incorporates a sack retaining feature for secure and discreet fitting of standard refuse sacks. Poor recycling rates across the student accommodation blocks was the main driving force of the project. Research identified that the existing scheme was confusing and often contradictory from building to building. Tim Kenyon ‘Environmental Assistant’ added, “We really liked the look of the Mini bin. It fits in well with the surroundings, it’s easy to use and the students like them.”All early indications are that recycling rates are on the increase for Loughborough University.